The big question facing businesses and organizations is not whether to spend money to automate key processes and systems but rather when and to what extent. To remain competitive in today’s dynamic and tumultuous marketplace, businesses and organizations must provide the best in products and services to survive. Doing business in this age of the Internet of Things (IOT) means you cannot afford to lag behind your competitors in terms of gathering real-time information and immediately transforming this information into operational excellence. This means industrial automation is the key to remaining profitable and relevant. One such monitoring platform which makes machinery more intelligent and responsive is Inductive Automation’s Ignition software. This is a state of the art Supervisory, Control and Data Acquisition (SCADA) technology that digitally translates a production line’s device signals and data outputs into actionable information. This output can be used by management to make critical business decisions in real-time. No matter what brand, model or platform, SCADA technology talks to your plant floor equipment just as naturally as it talks to SQL databases, seamlessly bridging the gap between production and IT. 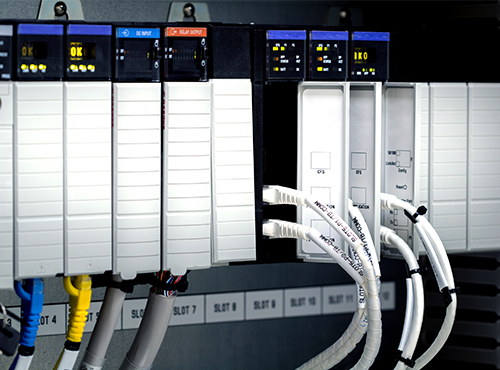 This gives the system designer the ability to connect to all data tags, Programmable Logic Controllers (PLC’s) and any other device he or she might need to connect to. When properly specified and customized for a given operation, SCADA technology can be a game changer in terms of getting actionable data to operate systems and processes consistently at peak performance. A business no longer must wait for the next day’s reports to find out how well (or poorly) they did. Instead it is now possible to get those Key Performance Indicators (KPI’s) and parameters exported directly from the production line in real time to any mobile device such as a laptop or smart phone. This in turn, affords managers and key personnel the opportunity to make immediate changes to attain the best possible outcome given the circumstances, rather than unknowingly allowing the process to continue operation outside of its normal parameters completely unmonitored. 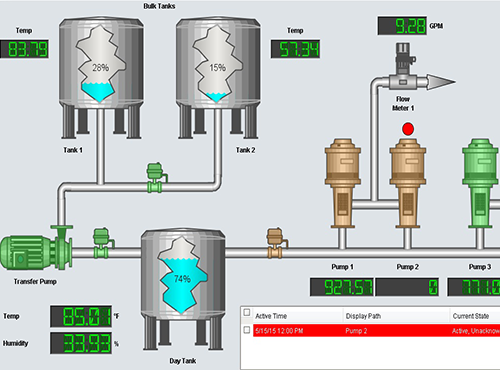 Ignition is an unlimited platform for SCADA. For the low cost of one server license you can seamlessly connect all your data, design any kind of industrial application with ease, and instantly web-deploy unlimited clients to anyone, anywhere – all from one universal platform for industrial automation. 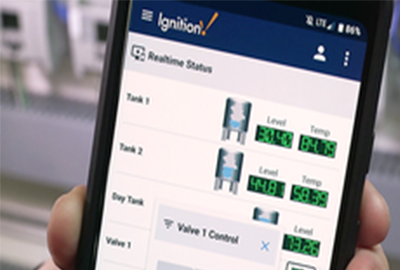 Ignition can serve as your main hub for all devices on the plant floor for a total system integration and is infinitely scaleable for architectures of any type. It can instantly launch full run-time clients virtually anywhere to get you up and running quickly. Ignition is so flexible that it is used by virtually every industry around the globe. As a Gold Certified Inductive Automation Integrator, Connell Industries’ SCADA systems utilize all of Ignition’s latest features and provides web based cross platform deployment, secure SSL technology, and modular architecture. This guarantees that your investment in a Connell Industries’ Ignition based SCADA system is secure and will never become obsolete. The bottom line is that the power to remotely monitor your business processes and services is now (literally) in the palm of your hand. A few short years ago, this technology and capability would have been considered impossible. Now because of how fast business moves, SCADA technology is an indispensable and critical component to successfully maintaining an edge over one’s competitors. And that’s what business is all about: Making the right investment in equipment and technology to ensure profitability and relevance now and for many years to come. To that end Connell Industries stands ready to assist you in integrating SCADA into your business process.